"We’re coming to your meeting,” said Craig Simpson, general manager of the East Columbia Basin Irrigation District. “I told my board, this Operations and Management Workshop in January is the meeting we are always trying to have in the hallways of every conference we go to.” Craig is absolutely correct in his description of our upcoming workshop, as each topic represents the contributions of numerous irrigation district managers gathered from countless conversations. However, special credit must be given to Steve Johnson, general manager of the Central Oregon Irrigation District, who came up with the idea of allowing time during the workshop for an open forum, during which managers can offer discussion topics or ask questions of the rest of the attendees. A few open forum topic suggestions are listed on the meeting registration form at the back of this magazine. Also per Steve’s suggestion, the registration form has a place for workshop registrants to propose additional topics. Managers know that borrowing an idea that has already worked for someone else can save a great deal of time and money. 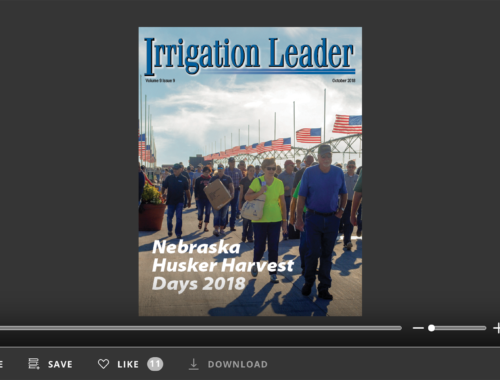 This issue of Irrigation Leader focuses on leadership and some ways districts and others have tried to facilitate the transfer of knowledge from one generation to the next. Tom Knutson manages three irrigation districts, answers to three separate boards of directors, and is the only manager who has succeeded in a full project title transfer from the Bureau of Reclamation. 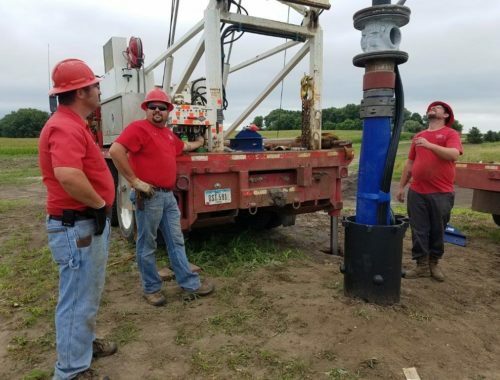 Always upbeat and cheerful, Tom is the very definition of a “people person.” He is also credited as one of the early supporters and creators of the Nebraska Water Leaders Academy. A great deal can be learned from him. 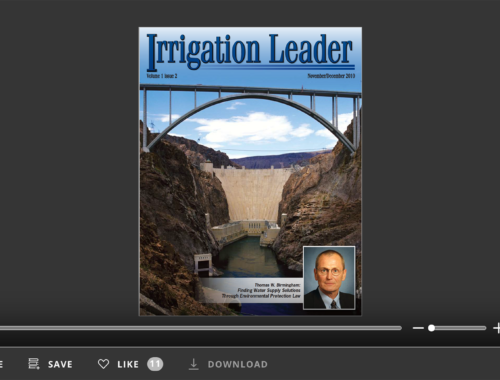 Additionally, this issue looks at water-focused educational programs. 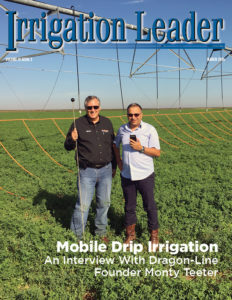 We feature an article on the very successful Washington Agriculture and Forestry Leadership Program, of which many of the irrigation district managers in Washington are graduates. We also talk with Dr. George Seperich about a new Water Management and Certificate Program organized with the assistance of the Agri-Business Council of Arizona and the Arizona State University College of Technology Innovation. An interesting aspect of that new program is that the classes are taught by water managers, not academics. Sadly, this issue also includes a memorial to one of the most beloved and respected managers in the business. The passing of Steve Robbins, general manager of Coachella Valley Water District, underscores the tremendous difference an individual can make. Steve’s accomplishments and contributions were invaluable to his district and to the farmers and other water users he served. He was a true leader and will be missed by all who knew him.